The Alabama Society Daughters of the American Revolution (ASDAR) is a lineage organization which is part of the National Society of the Daughters of the American Revolution (NSDAR). Members are women who are descendants of patriots of the American Revolution. ASDAR works to promote historic preservation, education, and patriotism, which are the objectives of the National Society. Claudia Burwell Marshall Morson was appointed by the NSDAR National Board to organize the Alabama Society. She served as First State Regent of Alabama from February, 1894 through February, 1897. Kate Duncan Smith led ASDAR as the second State Regent for ten consecutive years, and is credited as the founder of Kate Duncan Smith DAR School (KDS) which is located in the town of Grant on Gunter Mountain in Marshall County, Alabama. Many of the early regents who followed Mrs. Smith supported the goal to start the school on Gunter Mountain. In 1920, after raising $10,000 to complete the school, State Regent Mrs. Walter Ambrose Robinson received the deed to the land and the keys to the school from the Chairman of the Patriotic Schools Committee. The transfer of the deed and keys did not signify the completion of the school’s campus however. Work was immediately authorized to begin raising funds for an auditorium and teacher’s home. The school opened its doors on February 26, 1924. 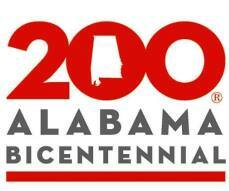 The Alabama Society has continued to fund construction, restoration, and other significant projects at the school right up until the present day through contributions by the state Society, as well as through individual gifts by many Alabama Daughters. Early in the 20th century, ASDAR also raised funds to help pay for the construction of the Constitution Hall at DAR Headquarters in Washington, DC, including the large arch over the stage and the Alabama Box. Subsequent atate regents’ projects have provided for the furnishing of the Alabama Room in the DAR Museum and maintenance of the room. The Alabama Society has also funded construction of monuments which marked various historic events including the first incorporated town in Alabama and places visited by the Marquis de LaFayette, who made significant contributions to the cause of the patriots in the Revolutionary War. Many ASDAR chapters have also erected historical monuments and marked the graves of many Revolutionary War patriots who are buried in Alabama. Additional service in preserving historical records of Alabama included the microfilming of early Alabama Census Records, the indexing of Wills and Estates in Alabama through 1875, the copying of many volumes of marriage records, and the compilation of two books, Some Early Alabama Churches, and The Roster of Revolutionary Soldiers and Patriots in Alabama. Today the Alabama Society continues to support KDS DAR School and provides funding for projects which promote the National Society’s objectives of historic preservation, education, and patriotism, and members volunteer many hours in service to God, Home, and Country. Alabama Society Daughters of the American Revolution History Book. Marguerite Poole Horton. 2011. ASDAR Member Web site. http://www.alabamadar.com. Gem of Gunter Mountain. June Troup. 1991. New Daughters: Today’s DAR. NSDAR publication.